Located on Millfield Lane, The Community Sports Pavilion is the base for Poppleton Junior Football Club, which is part of the Poppleton Community Trust which manages The Poppleton Centre. The Pavilion is available for hire through The Centre Manager (contact details above) and with its own facilities and parking it makes an ideal venue for meetings, classes, seminars - or whatever. 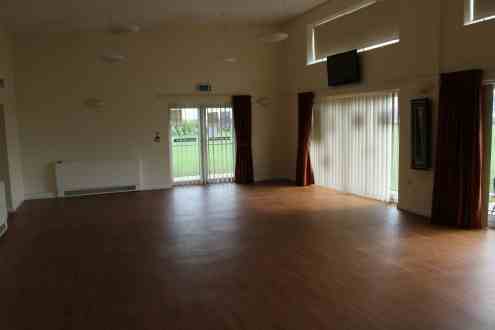 The perfect venue for Parties, Meetings, Classes, Seminars, Clubs, Keep Fit, Salsa - you choose.